We live in an age where technology is an important part of our lives. But by staying connected via Computers, Cell Phones, Smart Phones and other Gizmos we often disconnect ourselves from our real lives and sometimes turn into Technology Zombies. As an Online Marketing Agency we use technology ourselves and understand how important it is to step away once in a while. This is why we would like to invite you to join us for an opportunity to turn off your devices and to talk about better ways to stay connected without disconnecting ourselves from family and friends. The first thing we will do is to turn off our cell phones, laptops, tablets and other devices. We will even put them away and sit down with pen and paper while talking about our experiences. To secure that everyone gets the most out of the event we would like to keep groups small. Included in the small $10.00 fee are snacks and drinks available to you during the event. The first event is planed for Wednesday the 28th January 2015. Upcoming events can be found on our Event List. This entry was posted in Events and Seminars and tagged 2015, Cell Phones, Computers, event, Facebook, internet, Online Marketing Agency, seminar, service, Smart Phones, social-media, teccrab, teccrab inc., technology, Technology Zombies, The Off Switch V2.15, vancouver. We are enjoying the last days of the year and would like to take a moment to say thank you for an amazing year. This year we had the pleasure to work with a lot of brilliant people on many fantastic projects. We would like to mention some of our highlights in our last post of 2014. In May 2014 we had the pleasure to start working with Patricia, a very talented and dedicated Web Application Developer. One project she helped us with was the websites for an insurance agency in Germany. She also became the Project Manager for an in-house software we are developing. Later this year we had the opportunity to update the INTERNeX website and to create a prototype for an iPhone application for them. We used the quite time at the end of 2014 to work on our own website and translated a major part of it also into German. You can find our website at http://www.teccrab.com or http://de.teccrab.com if you prefer to read our details in German. After this little short review let us talk a bit about 2015. To get things started in Germany we have also planed a seminar in March 2015 were we talk about benefits and risks using social media as marketing platform. If you are interested to learn more about this seminar check out http://seminar.teccrab.com for more information. Seminars are for us an important factor not only to educate but also to build trust. We therefore plan to offer in 2015 seminars with various topics. Since we had great success with the Online Scam seminars we are planing to have them as a regular event. We also want to introduce “The Off Switch V2.15 by teccrab” an event we would like to offer once a month. More details on that soon. As mentioned we had an exciting year and look forward to see what 2015 will have to offer. We wish you all a good start into the new year. This entry was posted in teccrab and tagged 2014 review, 2015 preview, events, highlights of 2014, seminars, teccrab, teccrab inc., video projects, web projects. In our first Blogpost of 2014 we would like to mention that we are currently seeking for our location in Vancouver a highly-driven, professional Sales and Customer Service Representative. This position will require some knowledge of the online marketing, social media and video production industry. You will have to work directly with new clients and ensure that they receive services useful to their business; always aiming for a long term relationship with them. Introducing and selling our services to small and medium size businesses. Developing a detailed and results-focused sales plan together with our CEO. The plan will be reviewed frequently and updated as required. Establish and maintain strong and trusting relationships with business owners, managers and decision makers through personal contact and superior customer service. Meet with individual customers frequently to build a relationship for teccrab inc. and become their primary contact person. Identify and analyze clients’ business requirements, propose potential solutions, source, negotiate and close new revenue streams. Your role is matching the service structure with the clients individual needs. Support from our team and our international partners will of course be provided, if needed. 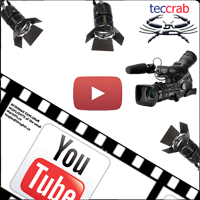 You will need to represent and promote teccrab inc. in a positive and professional manner. 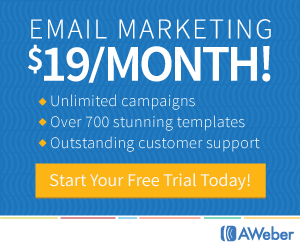 Provide weekly and monthly sales reports to our CEO. Feeding and updating the database, scheduling meetings and general paperwork related to this position are also part of your duties and responsibilities. Goal-oriented, self-motivator with the ability to work independently as well as with others. Ability to work under pressure to achieve sales targets. Good organizational and time management abilities. Please note that we will only accept applications via our online application form provided in this post. Please do not contact us via phone or Email. We thank you for your understanding. This entry was posted in teccrab and tagged 2014, Career, Career Opportunity, Career Opportunity 2014, Customer Service, Customer Service Representative, Job, Position, sales, teccrab, teccrab inc., vancouver, work. It is the time of the year where we take a moment to review the events of the ending year and plan for the upcoming one. I do of course the same for teccrab inc. and would like to use this post to give you a little inside or behind the sense if you want. In 2013 we manly tried to concentrate on building a solid foundation, to plan ahead and to continue growing. We partnered with incredible talented individuals as well as fantastic organizations around the world. Those partnerships helped us not just to increase the quality of our core business but also providing high class services in areas related to ours. From Hosting to Web Design, from Online Marketing to Public Relations Services to Video Productions and even Event Management, we are able to provide services that can help a business to promote themselves. In June we opened our consultation location and moved into a part of the office space from INTERNeX. This new location allows us to offer seminars and can function as a studio for video production. It is easy accessible for our clients and has enough room to secure a healthy growth of teccrab inc.
We were very excited to support last year some fantastic app developers who created interesting applications and hope to continue working with them in the future. One of those applications is MyPoi, we posted about this interesting app a couple weeks ago. One of our closest partners is of course INTERNeX International Exchange Ltd. In 2013 we produced for and with them many interesting videos for their clients. This project was driven by the PR interns of INTERNeX and our role was mainly production and post production support. The PR interns picked the locations for the INTERNeX Explorer and wrote their own scripts. We filmed them in different locations and provided the footage back to the interns who did the editing in most cases. The video was uploaded to YouTube almost every week. Unfortunately, because of changes in the PR team as well as technical problems, we couldn’t continue producing those videos, but plan to do it again in 2014. But the HiGHLIGHTS of the week and the INTERNeX Explorer are of course not the only projects planed for 2014. We have plans to offer seminars for small businesses as well as individuals who would like to learn more about the benefits and also risks of social media platforms. A social media management package designed for small businesses and startups is another project on our list. Our plan is to include in this deal a lot of services to get a small business started as well as support to manage and build an audience. We will also make changes in out team, would like to get new people on board to increase our productivity and to secure our known quality. A career page will be available on our website shortly. We would like to thank everyone who trusted us with their business, everyone who partnered with us and everyone who is considering using our service in the future. We hope you all can look back on 2013 and can at least say to yourself that the experience you gained will help you in the future. For 2014 we wish everyone a fantastic start and look forward to continue or start working with you. This entry was posted in teccrab and tagged 2013, business, internet, internet marketing, INTERNeX, MarioFit.ca, MyPoi, review of 2013, social-media, tangledthoughts.ca, teccrab, teccrab inc., technology. My name is Zehra and for the next two months I will be working in the sales and marketing department of teccrab inc.
Well, as you’ve probably noticed, I have no typical Canadian name. Maybe that’s because I was born about 8200 km away from Vancouver. No, it’s not Italy, not France. Right!! I’m from Germany! My family is originally from Bosnia, but I always lived in Huefingen, a small town in the southwest of Germany. I am 20 years old and I’m studying economics. In one year I will hopefully have my bachelor’s degree. At the moment, I want to get more experience in sales and marketing and also to brush up my English. That is why INTERNeX, which is a partner of my university, suggested to do an internship at teccrab. And where can I learn more than in a company, which is not only doing a great job but also working with a lot of passion?! And now I’m sitting here in the office of teccrab, looking out the windows, enjoying the flare of Vancouver and hoping that the next two months at least be half as amazing as the last few days here in Canada. I would be delighted if you would give some survival tips for Vancouver, ask me some questions or what I would like the most if you tell me some stories about yourself! I’m looking forward to get many new impressions, to gain more experience and to meet a lot of cool people like you are! This entry was posted in teccrab and tagged 2013, intern, internship, marketing, sales, teccrab, teccrab inc., zehra.